What is the future of public transportation in King County? Metro is hosting a series of visioning events throughout King County to begin the community dialogue about the future of public transportation in our region and to get input from community members about their vision. 6:30-7:30 p.m. Panel Discussion: Hear local experts discuss the future of public transportation in our region and answer questions from the audience. 7:30-8 p.m. Participate in an exercise to share your ideas about the future of public transportation in King County. 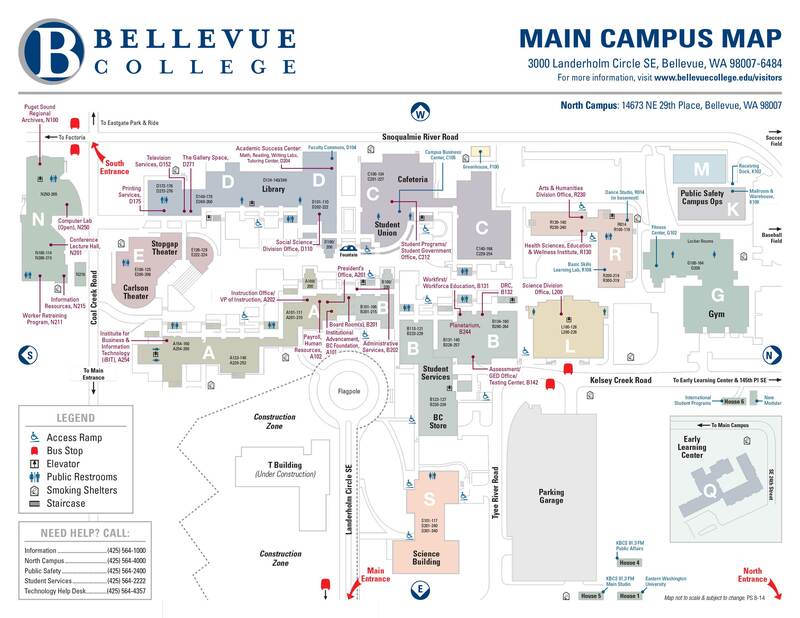 Bellevue College is served by routes 221, 226, 245, 271. Metro hosted a Long Range Plan Visioning Event on March 31 at the Seattle Central Library that included a panel of local and regional experts and visionaries including Jarrett Walker, Author of the book Human Transit; Rebecca Saldaña, Executive Director, Puget Sound Sage and Mark Hallenbeck, Director, Washington State Transportation Center, University of Washington. The discussion was moderated by Rita Brogan, Washington State Transportation Commissioner. Around 200 attendees participated in facilitated break-out sessions focused on topics including equity and access; educators and institutions; business and economy; innovation and technology; integrating transit modes; and future policies and funding. Panelists discussed their vision for public transportation in our region and answer questions from each break out session group. This event set the stage for the year and a half long planning process and community dialogue about Metro’s Long Range Public Transportation Plan. This event was hosted in partnership with Futurewise, Transportation Choices Coalition, and Commute Seattle. View the video clips below of highlights from the Visioning events discussion. Rebecca Saldaña: As the Executive Director at Puget Sound Sage, Rebecca leads Sage’s civic leadership programs and organizational relationships with community, labor, faith, environment, and philanthropy leaders in the region. As President of Jarrett Walker + Associates, Jarrett consults internationally on public transit network design and policy. He is the author of Human Transit: How clearer thinking about public transit can enrich our communities and our lives (Island Press, 2011). Mark Hallenbeck: Mark is the Director of the Washington State Transportation Center (TRAC) at the University of Washington and teaches Urban Transportation Planning and Intelligent Transportation Systems in the Department of Civil and Environmental Engineering at UW. Facilitator/Emcee Rita Brogan: Recently appointed to the Washington State Transportation Commission by Governor Inslee, Rita is a master strategist, a visionary, facilitator and a respected business and community leader. Rita also serves as PRR, Inc.’s Chair of the Board, after serving as its Chief Executive Officer for 25 years. As CEO, Rita established the company as a leader in strategic communications and marketing, advancing the environment, community and human health. Prior to joining PRR, she was the Superintendent of Public Transportation Development at Seattle Metro and served as chief land use advisor to the King County Executive. With more than 40 years of professional experience, Rita has a long history of public and civic service, having served on numerous boards and commissions spanning the fields of human services, environment, transportation, civil rights, research, and education.